This moment in American horticulture is a unique one, as this country’s health crisis has us all hopefully reassessing diet, our global food production methodology, and our national role in the resource depletion & climate change occurring on the planet. A sliver of hope emerges from the storm clouds, as a new consciousness is arising in America that people don’t have to wait to start working with the planet, instead of constantly against it. It was in this spirit that I started my Bay Gardens landscaping & edible gardening business, leaving behind the false promises of the fashion industry, and it’s production chain that was inconsistent with my personal core values. As we digest the nightly news, with it’s plethora of stories on peak oil & nasty spills, nuclear & chemical disasters, salmonella and e-coli poisoning outbreaks, more folks around here awaken to the fact they don’t need to have salad greens trucked over a 1000 miles when they can grow their own. Why settle for produce that are chosen by companies only because they are uniform in shape and can withstand long distance hauling when you can have flavorful & unique local and heirloom varieties? I have long noted a trend towards edible gardening and food growing over the past two decades. A 2010 story featured on NPR, mentioned the 4,000 registered users who logged onto website windowfarms.org from the U.S. to Italy, Israel and Hong Kong who actively tend greens even in cramped city apartments. Retail behemoth Home Depot reported a 30% uptick in vegetable seed sales after the 2008 banking crash and Burpee said they were selling more vegetable seed than flower seed for the 1st time in the company’s 130+ year history. Apparently for the 1st time in 150 years, according to statistical data, nationally more farms are being started than closing. A story I read in a spring 2010 LA Times highlighted a “a mini-boom in mini-farms” as “scores of businesses like My Backyard Farm in San Clemente, Your Backyard Farmer of Portland Oregon and Freelance Farmers of New Haven Connecticut” offer agricultural conveniences for those too busy to tend their own plots. This trend is only more prevalent today, as increasing numbers of people seek to grow at least some of their own food. It was a calling that prompted me to do the same at my homestead several years ago, and now, I regularly help empower others with the same knowledge & ability. Rain water catchment and harvesting are also increasingly popular, as people and businesses across the country from Michigan, Texas to North Carolina to California install a range of solutions from simple barrels, and even large scale solutions to retain the water we desperately need for our landscaping and gardening needs. I can help you do the same on your property, whether with swales, barrels or cisterns, to prevent erosion from swift moving stormwaters, or just to provide a supplement to your regular EBMUD or Hetch Hetchy water use. In Berkeley CA, we have likely heard how restauranteur Alice Waters created her acclaimed schoolhouse garden project that gets kids away from their desks and puts idle hands in the soil & into action, instead of into trouble. They learn the natural processes like propagation & composting onto chopping & cooking to grow & prepare their own organic food. 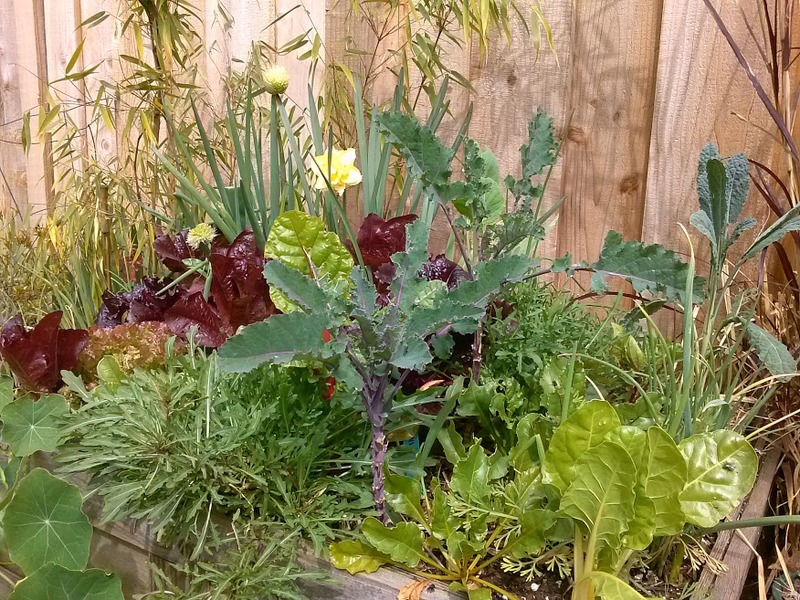 This garden has now become an iconic example of a growing trend in school gardening projects. In landscaping, many Americans turn away from the artifices & pest control paradigms of the past and an awareness and appreciation of nature is coming back into the fore. I took the Bay Friendly garden tour in Alameda County CA recently and saw numerous instances of people who removed their lawns and began creatively using low water plants to build habitat and create a sense of privacy & beauty without harming the planet. Many had installed water catchment equipment, or in some cases even had chickens & bees as co-inhabitants onsite. These are things I endorse and encourage, have helped others accomplish, and of course have done on my own property. This is indeed a unique moment in American horticultural history, and we all have a role to play. Contact me with your ideas and questions about how to better fulfill the promise of stewarding your own small piece of land here in the Bay Area. I’d love to hear about your garden, and perhaps together we can increase it’s productivity and it’s role in your life and that of your family.